The project is designed on a 525sqm brownfield site occupied by a warehouse. 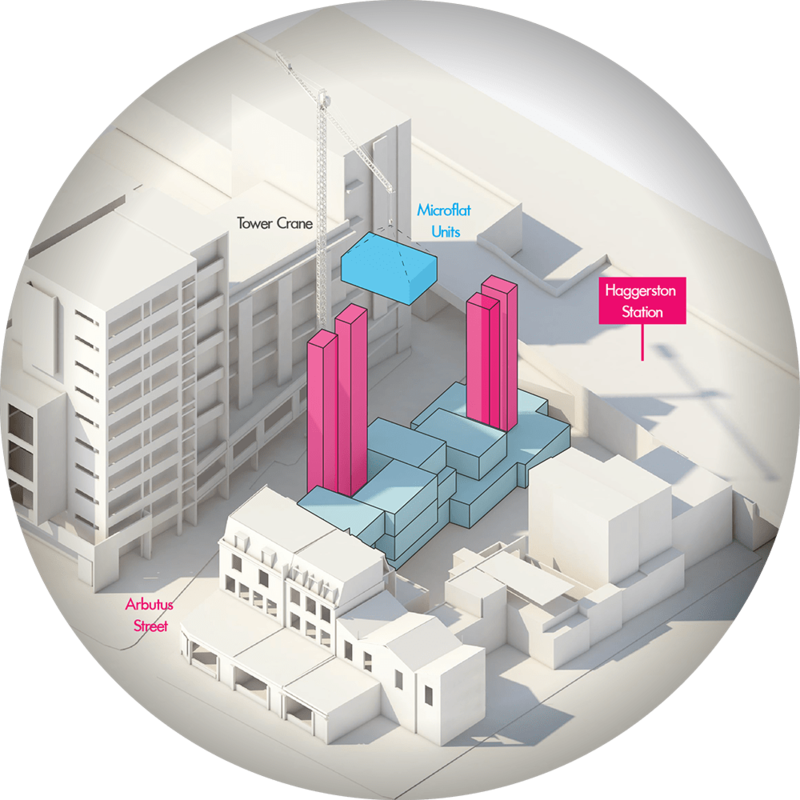 Located adjacent to a London Overground station, the area has no cohesive style but offers opportunity for regeneration. The housing crisis in London, relating to the supply and affordability of appropriate and affordable housing, is struggling to meet growing urban demand from an increasingly young population living alone. 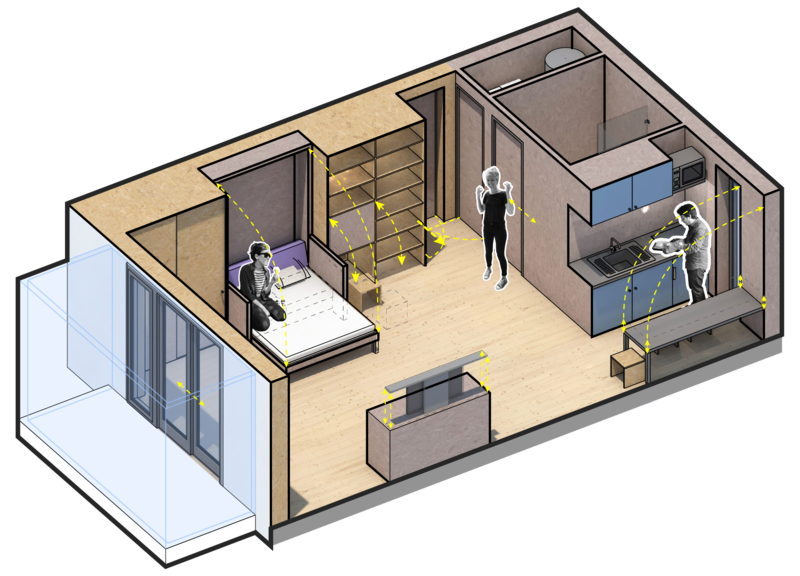 As such, the design proposes to use modular off-site fabricated microflats (38sqm) that can be built on compact and challenging sites. The modular units can be stacked to create compact and comfortable homes, creating new communities quickly and cheaply, meaning that large-scale developments can emerge to provide affordable homes for the young and old alike, which can contribute to alleviating the housing crisis. This design works alongside Co-Working space that facilitates a truly one-stop-shop Live and Work environment at affordable price. The microflats are designed to the highest standards as they must provide numerous overlapping and layered spaces which are flexible, bright and adaptable enough to cater for any occupant's needs and well-being. The combination of these living spaces with co working spaces, retail and recreation spaces, as a pop up modular building solution to affordable living could help to provide a lifeline for the many Londoners who can no longer afford the inflated prices for new homes in the capital.